What could the impact be of jamming or sticking uPVC doors? A jamming, sticking or broken uPVC door could have many different effects, many of which are simply linked to aesthetic or cosmetic issues. Maybe it is old and just doesn’t look very good anymore. That would be the ideal ‘worst’ outcome: it just doesn’t look nice. On a more serious and important level, jamming doors could be a major issue in the event of a fire. Knowing your escape plan is integral. However, sometimes that doesn’t pan out and you need to take another route. Are you convinced that that door will not be a hindrance? Will it open? Will it open enough to aid your escape? If you are not assured, then a jamming uPVC door is a big problem. In a fire, seconds are precious. A few seconds longer, exposing yourself to smoke inhalation, could be the difference between escaping and collapsing. Never mind the injuries, it could be the difference between life and death. The topic itself is horrifying, and no one wants to plan their fire escape as we all hope it will never happen. However, in order for you to have peace of mind and to not have something weighing on your conscience, it would be beneficial to have the problem rectified. This may mean whole door replacement, but it may only require locks to be changed or other modifications. The cost of this is a small price to pay in comparison. Could jamming or broken doors impact me in other ways? On a less morbid note, yes they might. A jamming or broken uPVC door may alter the integrity of the security of your home. At this time of year, burglars are unfortunately on the prowl due to the festive season. Homes are often filled with an abundance of presents and furthermore, many people go away for the holidays. Whether that be for just one day, or the entire festive season. According to the Office for National Statistics, in the year of 2016 over 50,000 robberies took place, with only 5,000 of those occurring to businesses. The festive season can be a prime time, especially if the house appears vacant. A broken door is like a green light to burglars. Don’t allow yourself to become a victim of crime. Have your door replaced or the locks fixed in order to maintain a safe and secure home. Find a reputable locksmith to rectify the problem. Solent Locksmiths cover the Southampton and Portsmouth area and specialise in uPVC doors and locks. They are also MLA approved, meaning you can trust their professionalism and integrity. They will be happy to give you advice and recommend the best course of action, in order to keep costs down but maintain a safe and secure home for you. 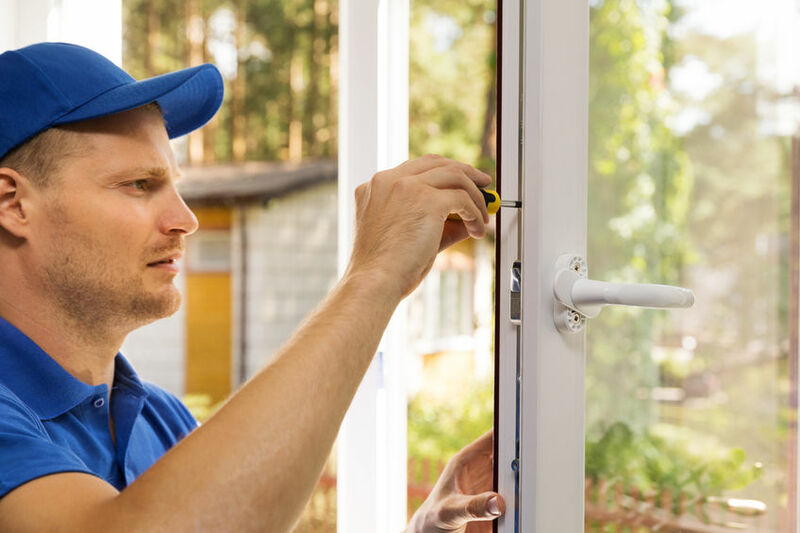 At Solent Locksmiths, they can fix or replace locks and, if needs be, replace the entire uPVC door for a new and secure version.